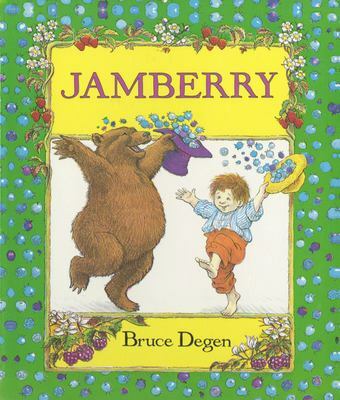 A young boy and a bear joyously romp through the land of berries, where there are raspberry rabbits and a brassberry band with elephants skating on strawberry jam! Degen's exuberant tale, with his equally energetic illustrations, is now available as a board book. Full color.